I recently received in the mail a letter informing me that I was required to develop a biosecurity plan for the Rock Farm. 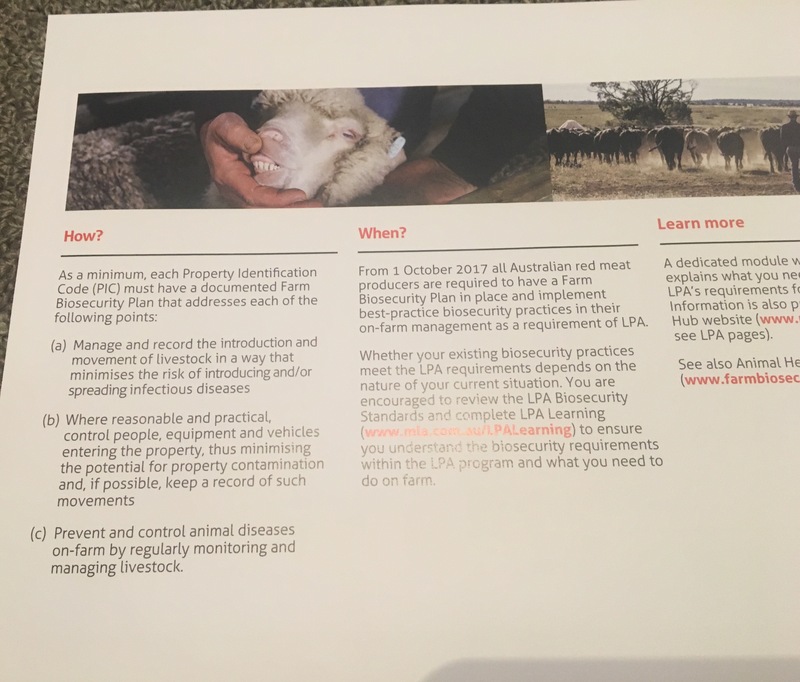 This is part of the Livestock Production Assurance (LPA) program, which Australian meat producers are encouraged to participate in. Whilst at first glance, it looks like a huge administrative burden (and cost) to be an accredited supplier, it really is little more than common sense and good practice wrapped up in a simple form. Under the Livestock Assurance Program, each property has a unique Property Identification Code (PIC). The Rock Farm is no exception. All animals born on The Rock Farm are tagged with a special tag that contains our PIC. When they are sold, or transferred to another property, we must fill out a National Vendor Declaration. This allows a full audit trail of livestock movements across the country. It can all seem a little overwhelming to a small scale producer like me, but there is an excellent online training package put together by the PLA. It is also supported by templates and other reference material to help ensure that all requirements are met. I am pleased to be a part of this process that helps me improve our farm practices, enhances animal welfare and supports and strengthens the industry as a whole.